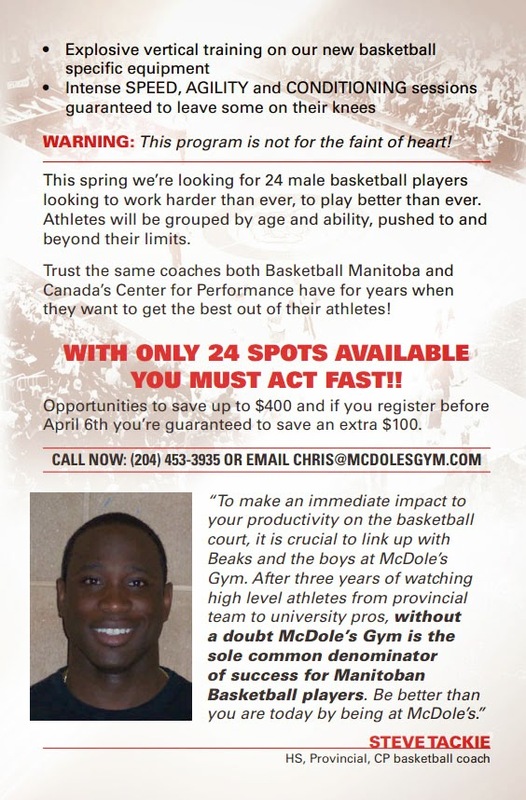 McDole's Gym of Winnipeg has announced a special spring training basketball program for 24 male basketball players. 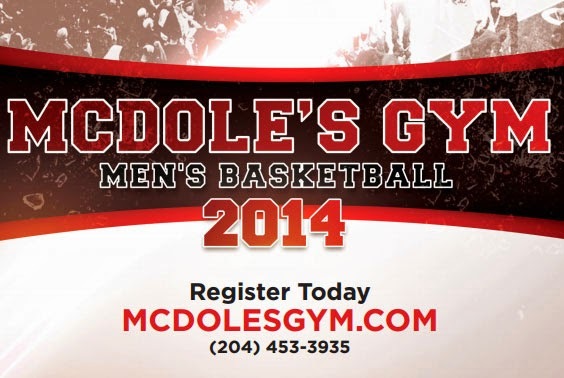 The specialized new program will feature intense group training sessions coached by passionate, educated trainers. Learn proper warm-up and cool down techniques while training under proper, supervised, strength training sessions. 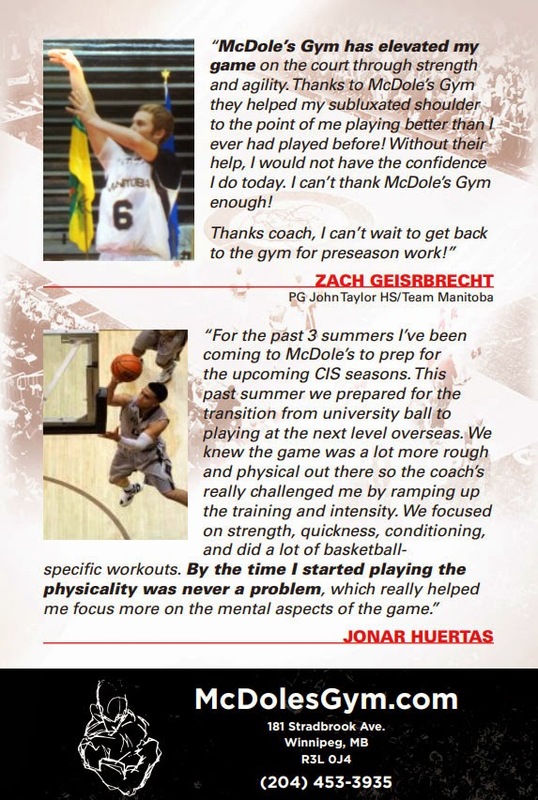 Maximize your development with explosive vertical training on our new basketball specific equipment. 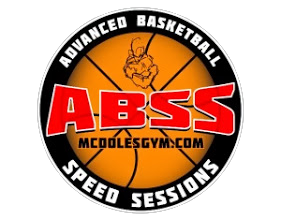 Intense SPEED, AGILITY and CONDITIONING sessions guaranteed to leave some on their knees. 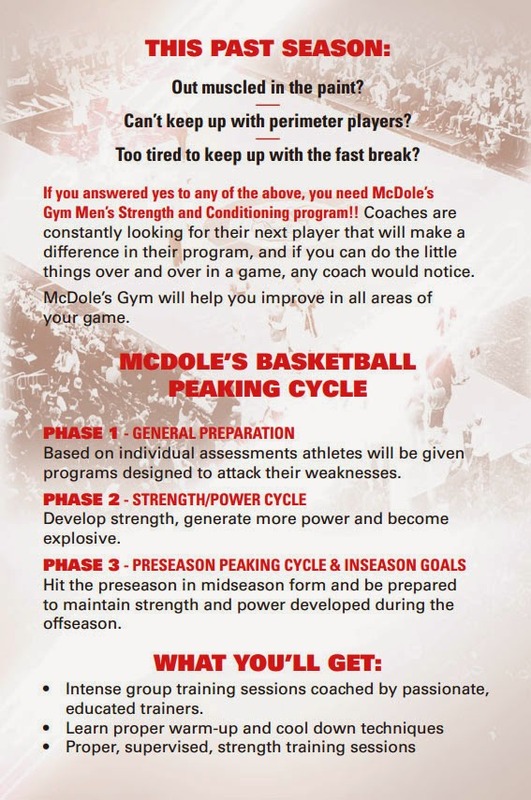 Athletes will also have opportunities to learn about proper nutrition for athletes, key exercises for injury prevention and proper warm up and cool down techniques to maximize their potential on the court.